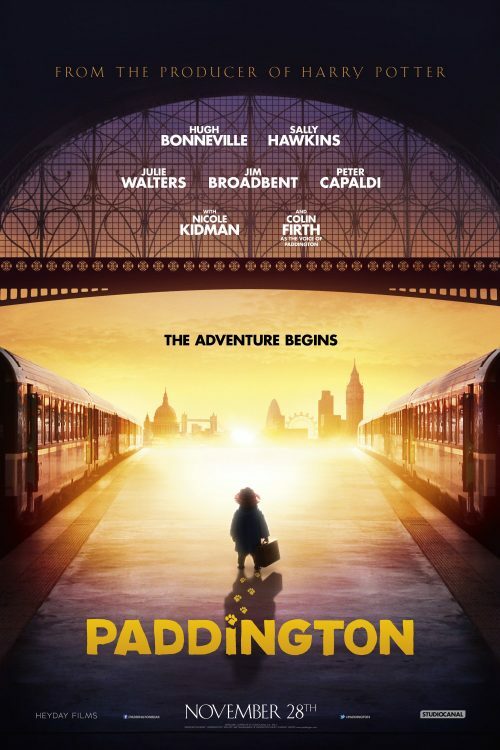 With a cast to die for, we have just been sent the first poster and trailer for the upcoming Paddington film. It was almost a year ago when I first heard about the film with an official press release. We don’t see much from the below teaser trailer but enough of Paddington, both the bear & station, to get a feel of what the film will look like. All it does is tell the story of how he got from Peru to London. A long time by sea and then train by the looks of it. Then unceremoniously dumped outside the lost property office. Not only we get the new Doctor Who, one of Tom Cruise’s ex wives as well as Mr Darcy himself! That’s not all we also get to see Julie Walters and Jim Broadbent in this adaptation of the classic children’s favourite bear. We still have a huge wait before the film hits the silver screen here in the UK as it has a November 28, 2014 release date.